If you are considering buying property in Torremolinos, Costa del Sol, Spain then you will be looking for a list of Torremolinos estate agents so you can look at their websites and get an idea of what type of property your money can buy you in Torremolinos. Below we have a list of estate agents or inmobiliaria as they are known in Spain and we have actual examples of properties for sale in Torremolinos and the surrounding area at the bottom of this page. Torremolinos is one of the best known package holiday resorts in Spain with thousands of holidaymakers flocking here every year for its beaches and wild nightlife. Estate agents located in Torremolinos will also be able to help you find property in towns, villages, urbanisations and developments close to the Torremolinos area. 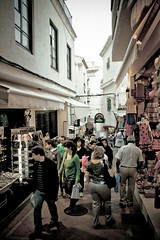 These include: Playamar, El Pinar, La Colina, Los Alamos, La Cizana, Parador Malaga Golf, Guadalmar, Cerro del Toril, La Carihuela, Solymar, Torre Bermeja, El Pinillo, Arroyo de la Miel and Punta Negra. You can see where these areas are using our map page. If you want to know all about what it is like living in Torremolinos and the current property market, then you must read our in-depth interview with Jessica Bush of IVI Real Estate on our main Torremolinos page. Jessica, what would you say would be the advantages to living in Torremolinos compared to other Costa del Sol towns? Torremolinos has a privileged location on the map with a very good access from Malaga International Airport, has six kilometers of beaches, with a weather that lets you enjoy them most of the year. For this reason, there are many visitors from around the world who decided to stay and live in Torremolinos. Today it´s a cosmopolitan city with a very full range of national and international groups, being, at the same time town, city, cultural center, sports village, beach and golf. The prices have remained during this last year with the lowest prices in years. They are slowly, starting to rise. Estate agents in Torremolinos operate differently as opposed to countries such as the United Kingdom. In the United Kingdom you have to trawl from one estate agent to the next and each has their own unique properties for sale. This is very time consuming. Torremolinos estate agents and inmobiliaria have their own unique properties for sale but they can also show you other properties on sale from other agents. If you want to buy a property in Torremolinos – the two estate agents will split the commission so the property you want to buy won’t cost you anything more. Estate agents in Torremolinos will view a property and give a guideline at which price to market the property however ultimately the owners decide at which price to sell the property for and some unrealistically overprice their houses. Estate agents in Torremolinos charge different commissions, expect typically to pay between 3% and 5%. If you are looking to sell your property in Torremolinos then we recommend going for an estate agent with an office in a busy location. A Torremolinos estate agent with an office demonstrates a degree of credibility and ensures they will have passing traffic. They will naturally also have an Internet presence also. 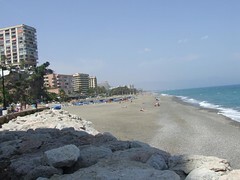 Many estate agents in Torremolinos will also have houses and apartments for rent in Torremolinos. Do consider a long term let or rental in Torremolinos or rent a villa or apartment in Torremolinos as a way to get to know the area first. Most Torremolinos estate agents should also be able to help you with these services: finding apartments for sale or rent, villas and houses for sale or rent, townhouses for sale or rent, selling your property, letting your property, information on the local area such as amenities, facilities and schools, new build properties and resales, cheap bargain properties including repossessions and distressed sales, property maintenance, valuations, luxury properties, property finding services and arranging mortgage financing, Some agents will also handle commercial property such as shops to let or lease, bars and restaurants for sale and land for sale. The video below gives you an example of a property for sale in Torremolinos, in this case a distressed property (repossession) 1-bed apartment costing €74,895. Page Summary – This page contains unique content about estate agents (known in Spain as inmobiliaria) in Torremolinos as well as a directory of known estate agents in order to help people looking to let or buy property in the Torremolinos area.